Did You Win THE PIANO (25th Anniversary Edition) On DVD? We've got two copies of the new 25th Anniversary Edition of Jane Campion's film to give away. 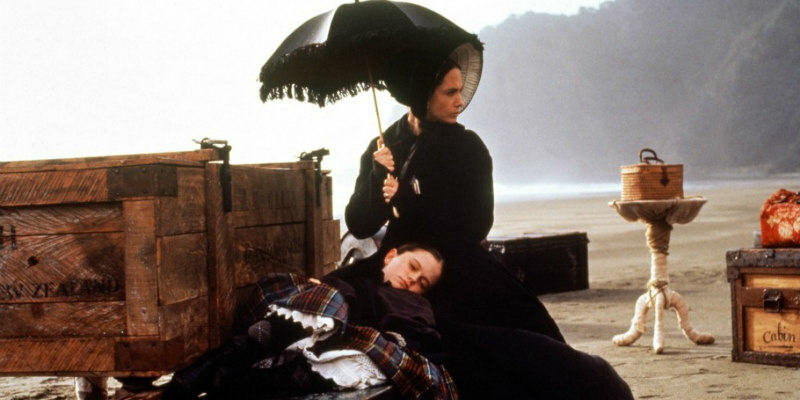 To mark the 25th anniversary of its original theatrical release and ground-breaking 1993 Palme D’Or win at Cannes, Studiocanal is delighted to announce that Jane Campion’s multi Oscar winning classic, The Piano, will be rereleased on 2 disc DVD and Blu-Ray and via digital download on July 16th. 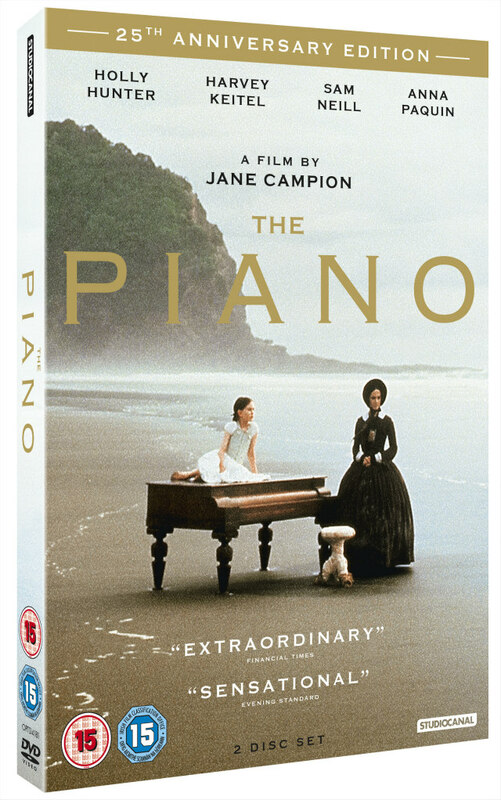 Complete with a brand new and exclusive extra, 'The Piano at 25', which includes interviews with Campion and the film’s producer, Jan Chapman (filmed at Karekare beach in New Zealand: the iconic location made famous by the film). The Blu-Ray release also comes complete with essay booklet, alternative artwork poster as well as a copy of the soundtrack. To celebrate, we’re giving away two DVD copies! Starring Holly Hunter in a majestic silent performance as Ada McGrath, the mute Scotswoman and talented pianist who arrives with her strong-willed young daughter Flora (Anna Paquin) in the New Zealand wilderness. She is to marry frontiersman Alistair Stewart (Sam Neill), having been sold him by her father, but takes an immediate dislike to him after he refuses to carry her beloved piano home with them, instead selling it to his overseer George Baines (Harvey Keitel). Attracted to Ada, Baines agrees to return the piano in exchange for lessons that gradually become a series of erotically charged sexual encounters. As the story unfolds like a Greek tragedy, complete with a chorus of Maori tribes, all of the characters’ long suppressed emotions come to the fore, as if elicited by the wildness of the natural world around them. The Piano will be available on Blu-Ray and DVD from 16th July.